The bones and structural guidelines for proper dining etiquette. 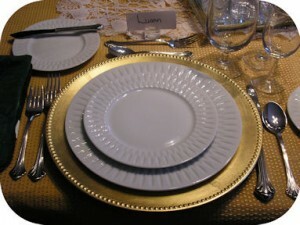 Be able at the table by developing a graceful manner and astutely understanding the protocol of formal dining. From small talk to utensil usage, creating a solid foundation of dining knowledge will fortify your confidence in these situations. Luann’s etiquette dinners integrate her attentive observation, insightful feedback, and hands on learning to maximize the effectiveness of the event. Enjoy a full course dinner supplemented with Luann’s teaching. You will find the experience fun, informative, and delicious!